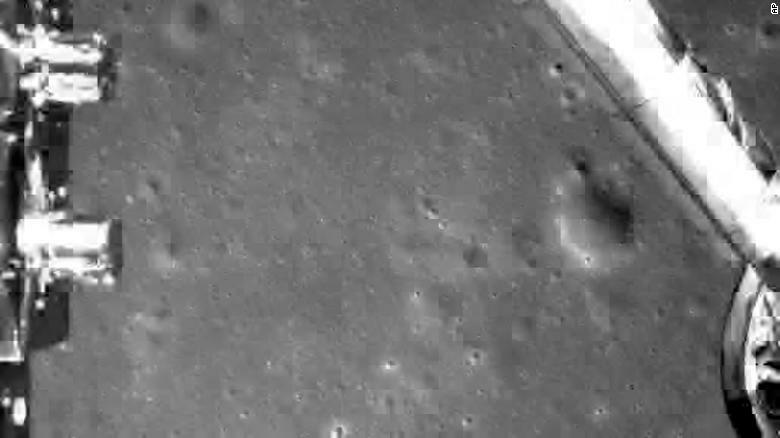 In an historic first, China has successfully landed a rover on the far side of the moon, China announced a huge milestone for the nation as it attempts to position itself as a leading space power. The first image of the moon’s far side taken by China’s Chang’e-4 probe. It made its final descent from an elliptical orbit 15 kilometers (9.3 miles) above the moon’s surface, making a “smooth” and “precise” landing, according to the general designer of Chang’e 4, Sun Zezhou, who added the probe pulled off a “bulls-eye.” State media reported the rover transmitted back the world’s first close range image of the far side of the moon. Six hours after touchdown, the rover will descend from the lander onto the moon’s surface, mission spokesman Yu Guobin told CCTV. The far side of the moon is the hemisphere that never faces earth, due to the moon’s rotation. It is sometimes mistakenly referred to as the “dark side of the moon,” even though it receives just as much sunlight as its earth-facing side. An image taken by the probe after its landing. “China is on the road to become a strong space nation. And this marks one of the milestone events of building a strong space nation,” chief designer for the lunar mission, Wu Weiren, told CCTV. The lunar craft lifted off from the Xichang Satellite Launch Center in Sichuan province on December 8, entering the moon’s orbit four days later, according to Chinese state media. It is hoped the lander will conduct a number of tasks, including conducting the first lunar low-frequency radio astronomy experiment, observe whether plants will grow in the low-gravity environment, and explore whether there is water or other resources at the poles. Another function of the mission is to study the interaction between solar winds and the moon surface using a new rover. The Chang’e 4 rover is 1.5 meters (5 feet) long and about 1 meter (3.3 feet) wide and tall, with two foldable solar panels and six wheels. “China is anxious to get into the record books with its space achievements,” said Joan Johnson-Freese, a professor at the US Naval War College and an expert on China’s space program. 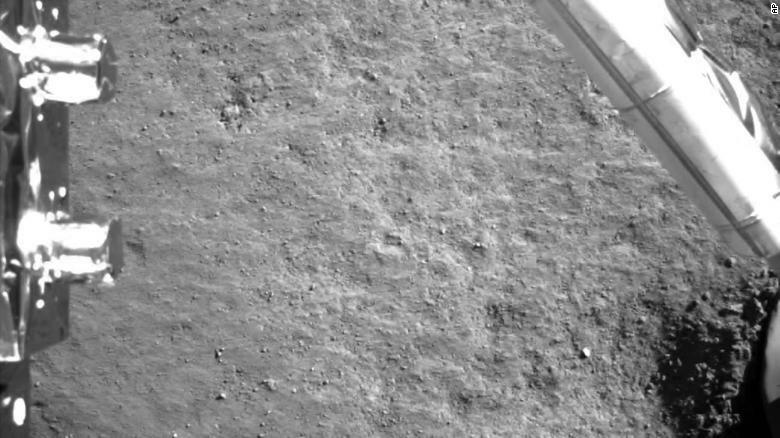 An image taken by China’s Chang’e-4 probe during its landing process. No explanation was given as to why the earlier tweets were deleted. On social media, observers speculated as to the cause of the apparent backtracking, with many wondering if the mission had experienced a temporary upset, or whether it was a simple case of state media jumping the gun ahead of the official announcement.China’s last lunar rover — named Yutu, or Jade Rabbit — ceased operation in August 2016 after 972 days of service on the moon’s surface as part of the Chang’e 3 mission. China was only the third nation to carry out a lunar landing, after the United States and Russia. The overall design of the new rover is inherited from Jade Rabbit, according to the chief designer of China’s lunar probe program. “We worked hard to improve its reliability, conducting thousands of experiments to ensure its long-term operation, especially taking into consideration rocks, ravines and frictions on the Moon,” Wu Weiren told state broadcaster CCTV in August.Beijing plans to launch its first Mars probe around 2020 to carry out orbital and rover exploration, followed by a mission that would include collection of surface samples from the Red Planet. China is also aiming to have a fully operational permanent space station by 2022, as the future of the International Space Station remains in doubt due to uncertain funding and complicated politics. In comparison, despite its recent success in sending a robotic lander to Mars, the US space agency NASA has faced years of budgetary constraints. Although the Chinese government has long stressed its “peaceful motives” in space exploration, Washington increasingly views China — along with Russia — as a potential threat, accusing Beijing of working to bring new weapons into space and prompting President Donald Trump to announce the establishment of a US Space Force by 2020.